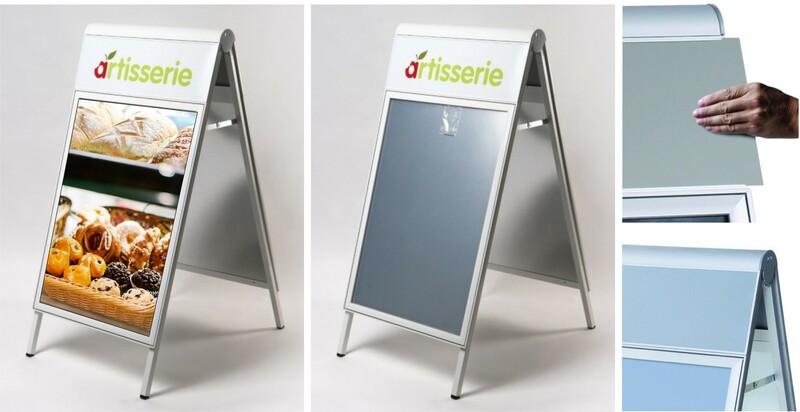 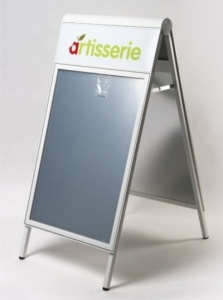 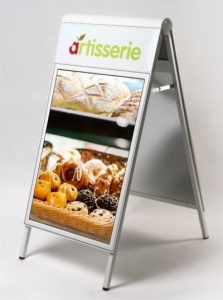 With its premium designer looks this versatile pavement sign / poster holder features a stylish curved top profile and slide in header panel to accept vinyl or printed graphics. 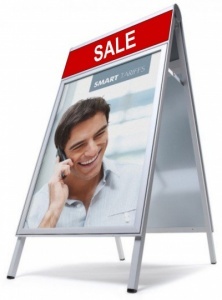 With its double sided 37mm Compasso snap frames for improved aesthetics this is a very stylish poster display. 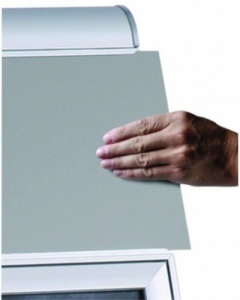 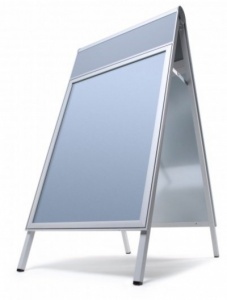 It boasts good stability with its 25mm sq profile legs and non corrosive metal back panels. 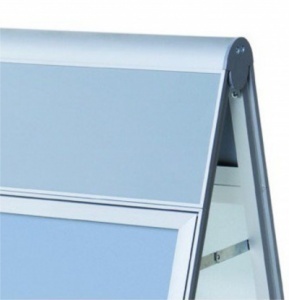 It comes in a Silver anodised finish and IP53 certified weather resistant poster pockets as standard.